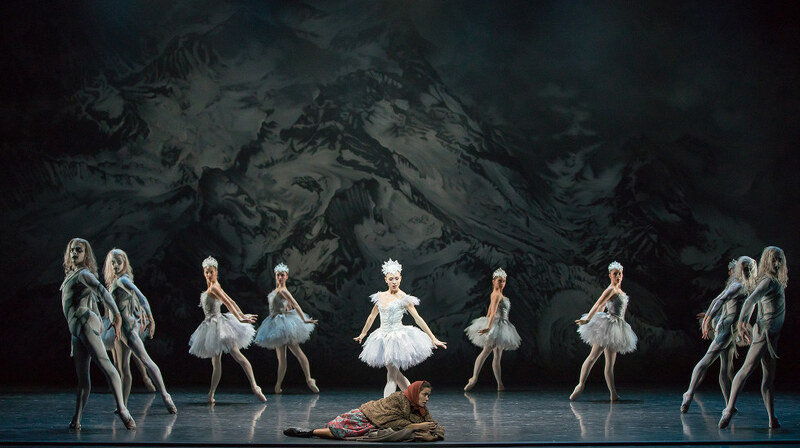 Synopsis for Sir Kenneth MacMillan's "The Fairy's Kiss"
Scottish Ballet in "The Fairy's Kiss." Photo by Andy Ross, courtesy Scottish Ballet. 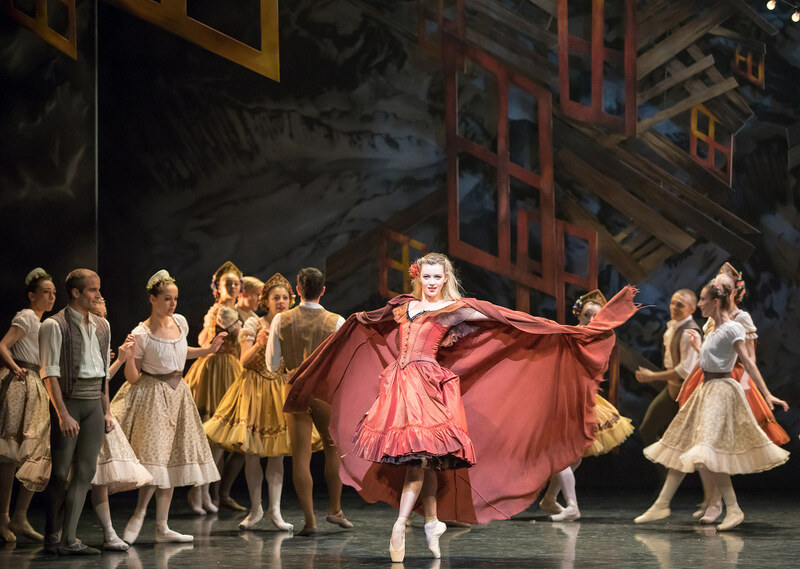 From January 2-15, 2018, Pointe is streaming Scottish Ballet's production of Sir Kenneth MacMillan's The Fairy's Kiss (Le Baiser de la Fée) on our Facebook page and website. Read the ballet's synopsis below. Photo by Andy Ross, Courtesy Scottish Ballet. The villagers gather for the fête. The child, now a young man, appears with his fiancée. A gypsy endeavors to tell the fortune of the young man and during the fortune telling the fiancée leaves with the villagers; left alone the young man discovers that the gypsy is the Fairy in disguise. She subjects him to her will, and promises him great happiness. Captivated, the young man is led to his fiancée. Mia Thompson as the Gypsy. Photo by Andy Ross, courtesy Scottish Ballet. Guided by the Fairy, the young man arrives at the mill, where he finds his fiancée playing games among her friends. The fairy disappears. They all dance. The Fairy appears again, and the young man is confused. The fiancée leaves with her friends and the young man is once more left alone. The Fairy reappears and the young man mistakes her for his fiancée. Suddenly the Fairy throws off her cloak and, dumbfounded, the young man realizes his mistake. He is defenseless before the supernatural power of the Fairy. His resistance overcome, she holds him in her power. She kisses him. Constance Devernay and Andrew Peasgood. 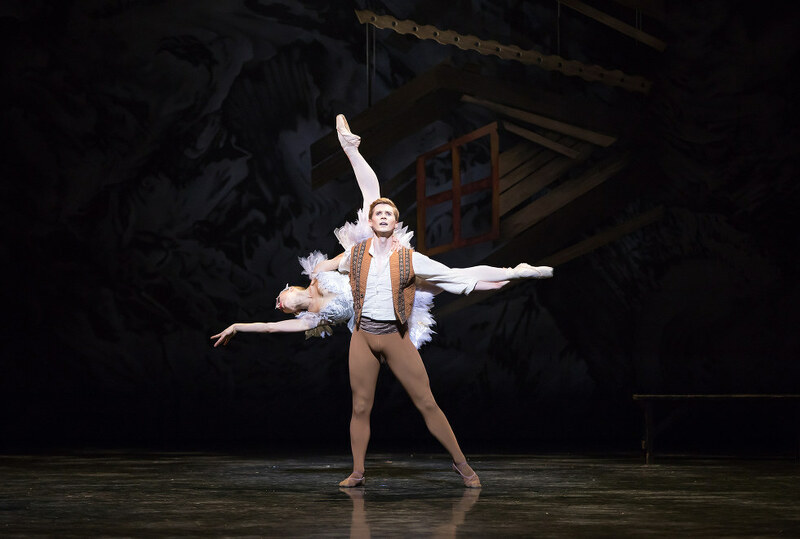 Photo by Andy Ross, courtesy Scottish Ballet.